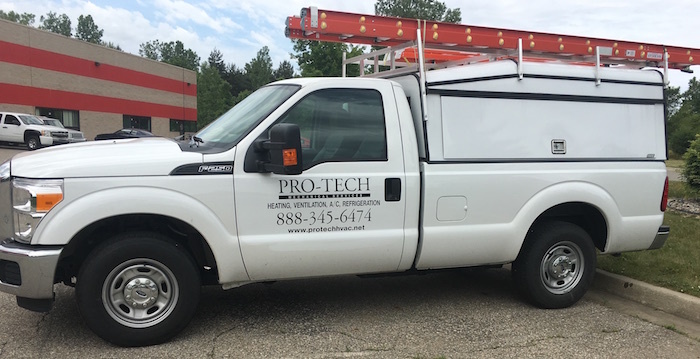 Pro-Tech Mechanical is a leading Michigan heating, air conditioning, refrigeration, air quality, and air balancing contractor specializing in industrial and commercial properties. With over 15 years of experience serving Michigan businesses and industrial facilities, our highly trained technicians have thorough knowledge of all makes and models of commercial and industrial HVACR equipment. Our company is focused on safety, efficiency, and reliability, and our technicians receive ongoing training to ensure complete knowledge of the latest equipment and safety measures. For more information about Pro-Tech Mechanical, or to schedule a free estimate, inspection, or repair service, contact us today! We’re available 24/7 to provide fast and reliable repair services.